London Riesling Diary: Day 2 – Mr. Pigott, Do You Love Britain or Hate Britain? I was brought up as a sceptic, that is not to trust accepted wisdom without question it and the groups of people who promote its acceptance as The Truth. At the Royal College of Art where I studied for an MA in cultural history in 1984-6 I was taught to take apart statements, stories and ideas to see how they tick, like a clockmaker who’s task is to repair a bunch of old clocks, some of which still seem to run well, others run too slow or fast, and some don’t run at all. I still do that in this blog, and the statements, stories and ideas I take apart and put back together again come from all kinds of places on Planet Wine. Sometimes they are from Britain, and this leads some British readers to the questions in the title of this posting in a very pointed way. The unspoken undertone of what they say is, “are you still a Brit, or have you gone native in Germany/America and become a Britain basher?” Am I, even, a traitor? I was certainly never blindly loyal to H.M. British Government, nor any other national government, or political party. However, I am not a Britain basher. Let me tell you about what I love most about Britain. I love the taste of England, also the taste of Wales and of Scotland. Of course, these places have many tastes and I am over-generalizing, but a simple question demands a simple answer. What I mean by this is, that my sense of how good milk and butter, peas and beans, apples and berries, chicken and beef, and many other things should taste developed during my childhood and teenage years (1960 thru 1979) in Britain. It was primarily through my family and my grandparents that I had those key expereinces, but as time went on I began to gather them on my own, or with the help of my close friends (thanks again Liz & Dave, Paul & Myra). During my teens I was also introduced to elements of French and Italian cuisines through London restaurants, and my mother’s interpretation of some of those dishes. And all this remains an important part of the knot of British culture which is the core of my identity. 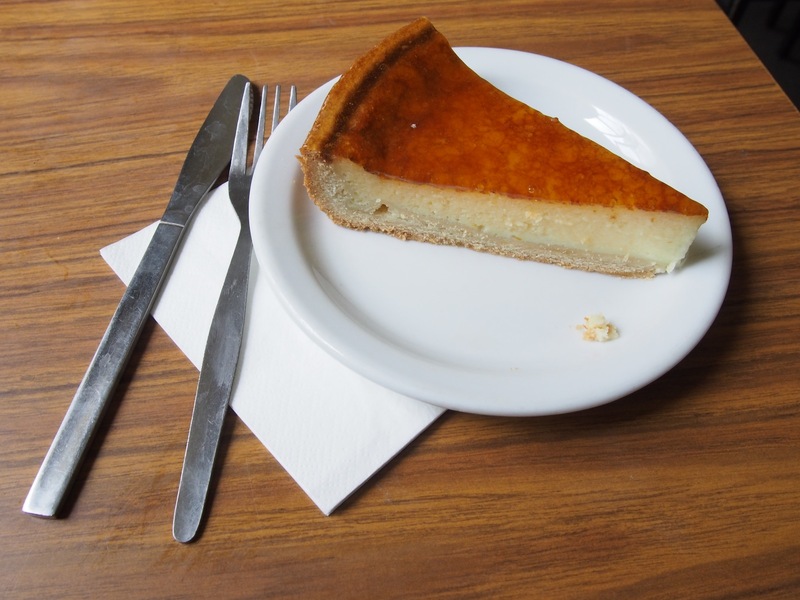 That’s why the tarte au citron, or lemon tart I ate yesterday at Maison Bertaux in Greek Street, Soho is pictured above. It’s a perfect example of an anglicized French dish. It is – and this is typical of British food – rather more robust than the foreign original; at once subtle and satisfying. So are the wonderful croissants and fruit tarts at Maison Berteaux. At its best New British Cuisine (from the very late 1980s and through the 1990s and into this century) reinterpreted a variety of French-British, Italian-British, etc dishes by applying the principals of French nouvelle cuisine to them, but with a feeling for the solidity and generosity of the result. This is exactly what Marco Pierre White did so brilliantly, and at his restaurants it was almost impossible to eat more than three courses, but you didn’t want any more if you had something like his wonderful stuffed pig’s trotter. In spite of the rise and influence of molecular and Nordic cuisines this remains the core value of British Cuisine to this day. Of course, I don’t like the “taste” of everything British. For example, in common with the British rock singer P.J. Harvey, I find that the foreign policy of H.M. Government tastes bitter. The British Empire and Britain’s political influence in the world have been in decline ever since the Empire reached its maximum extent a century ago (swollen by the “booty” of WWI), and they continue to decline. However, it seems that almost any means of hanging on to the remainders of these things – although on the world map the various colonies look like coffee grounds in a long-since drained cup of coffee! – is regarded as necessary and legitimate. This attitude is based upon a dangerous optical illusion in the minds of members of the British Establishment that makes things far in the past appear much close than they actually are. This creates a situation where out of the bitter taste of the British ambition to “punch above our weight” on the world stage (note the violence in the metaphor) a fiery taste could all too easily develop. 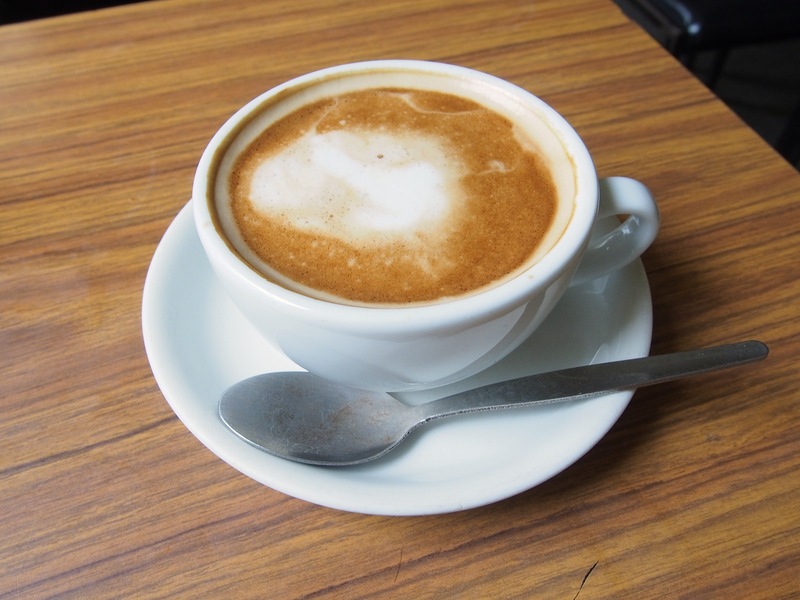 I suggest that the rich and mellow flavor of the café aux lait at Maison Berteaux, pictured above, is vastly preferable to this. In this, and in many other departments, Britain has something distinctive to offer the world. That should be enough!